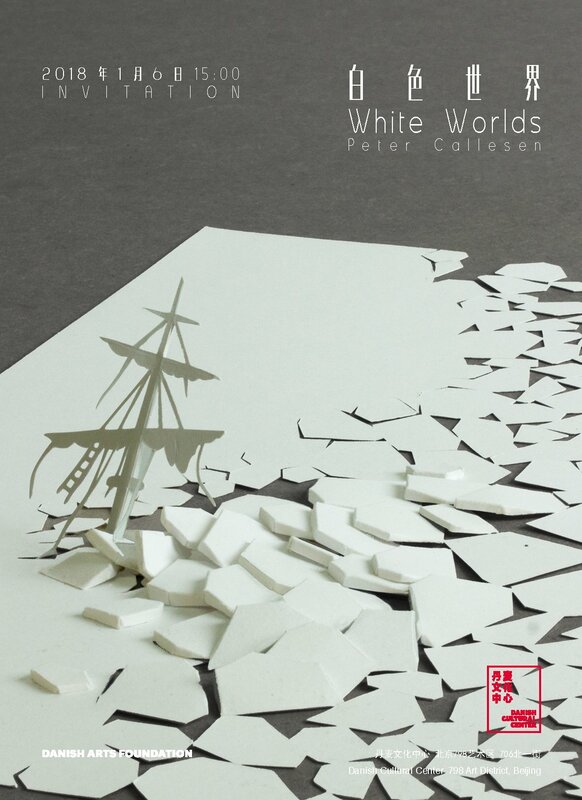 Peter Callesen: White Worlds 6.1. – 4.3. 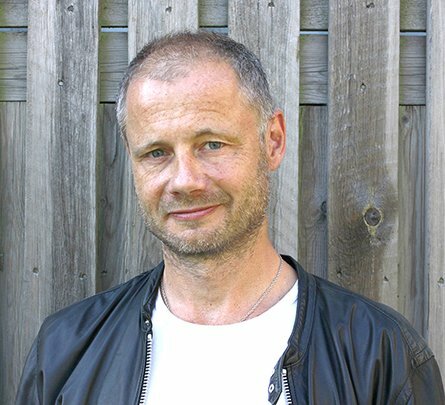 Danish Cultural Center takes the pleasure of inviting you to attend the opening of “White Worlds”, an exhibition with works by the Danish artist Peter Callesen, Saturday 6th January at 15.00. The artist will be present at the event. White Worlds consists of 35 small, enclosed white worlds under glass, together they present a universe of tragedy and comedy. 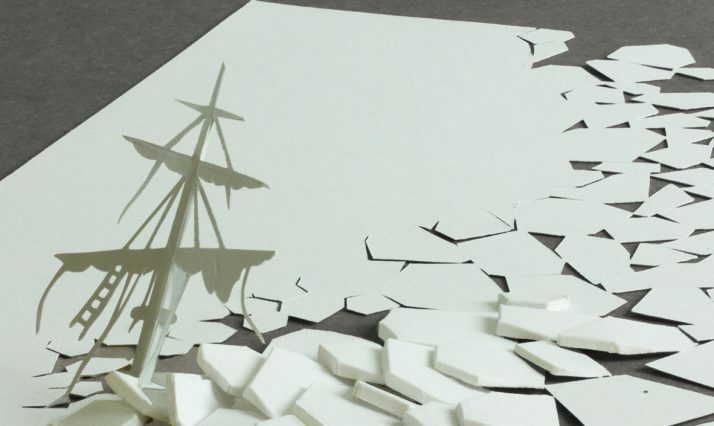 For each of the worlds, Peter Callesen has used only one single sheet of A4 paper. In some cases, some of the paper may have been left over but none of the works consists of more than one sheet of A4. 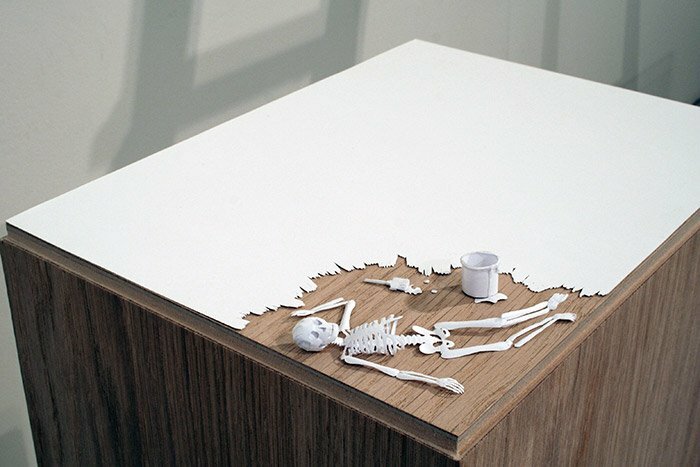 Peter Callesen is a Danish artist, widely known for his sculptures in paper. Particularly noteworthy are his works where the remains of the cut and folded objects are literally shadows of the objects former self. He uses the positive and negative space to tell a sometimes-dark story about the past and future of his subject using only a white sheet of paper. Callesen also works with a variety of other media including installations, performances, and monoprints. The exhibition is produced for Danish Cultural Center with financial support from the Danish Art Foundation. It will be on display until 4 March, 2018.